For the workspace that demands the toughest ladder. Period. Every day, work is done where equipment needs to be able to take a beating and keep working. 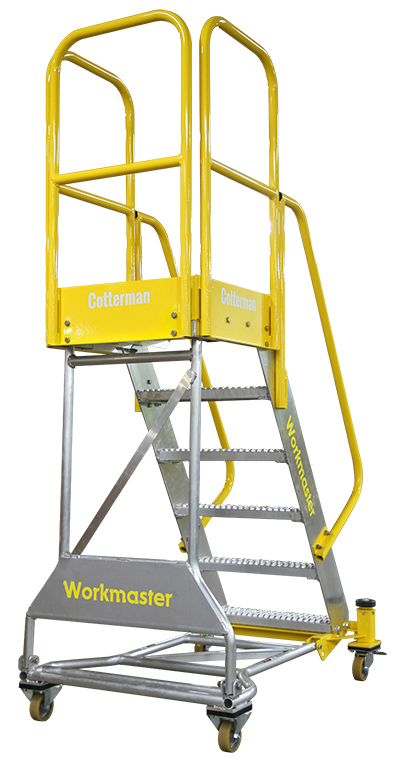 For the toughest jobs, Cotterman® offers the Super Duty Aluminum Workmaster™ ladder. 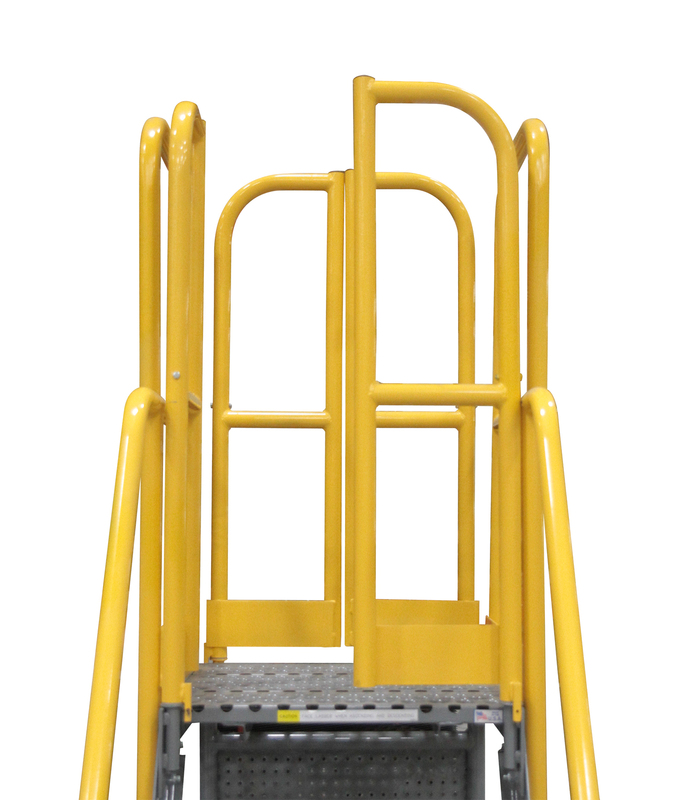 Built with extra heavy duty components, the Aluminum Workmaster™ ladder is resistant to bumps and dings in harsh work environments. 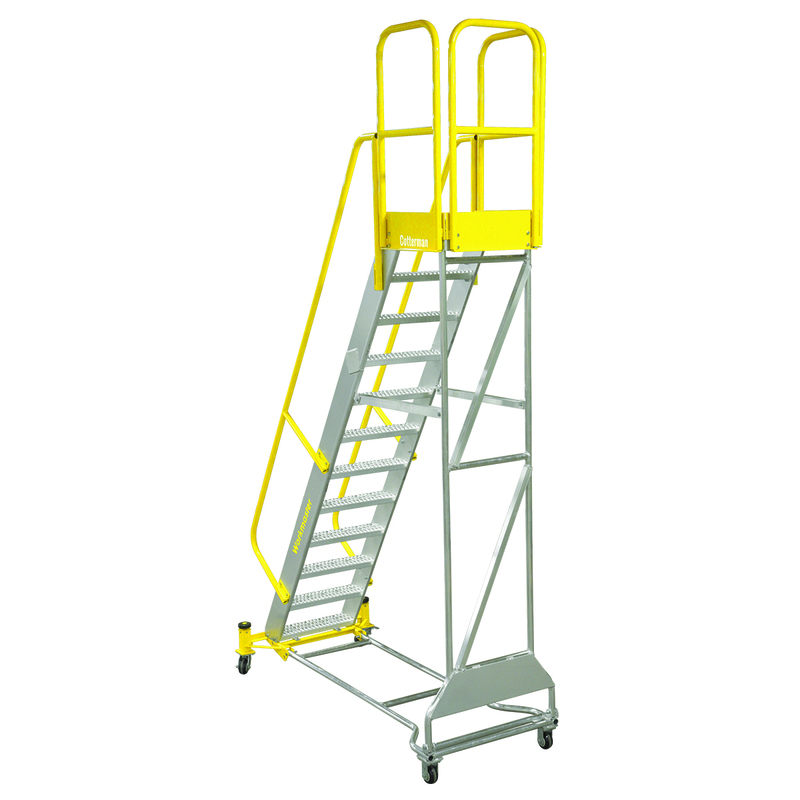 It’s aluminum construction creates a more lightweight ladder for easier mobility. 1-1/2 diameter x 14 gauge tube construction. Adjustable steel front legs level the ladder. Yellow powder coated handrail and bottom step finish creates high visibility. 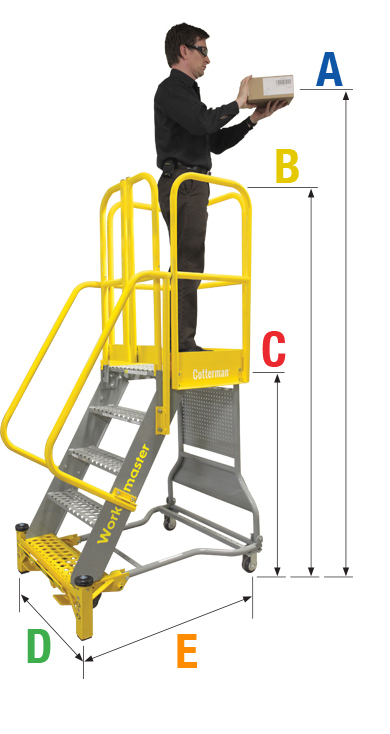 Aluminum Workmaster™ Super Duty ladders meet applicable OSHA and ANSI standards. All tube members are 1-1/2” x 14 gauge tube construction. Handrails & Bottom Step constructed from steel. Gray Powder coat with safety yellow handrails is the standard finish. 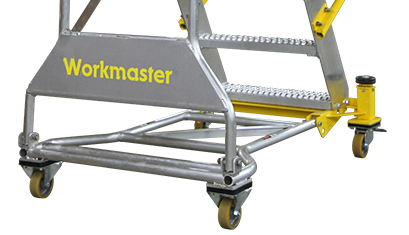 The Workmaster™ comes standard with 24″ wide steps. Open step Premium Serrated Heavy Duty Tread. Field Replaceable, Adjustable Front Legs that level the ladder. 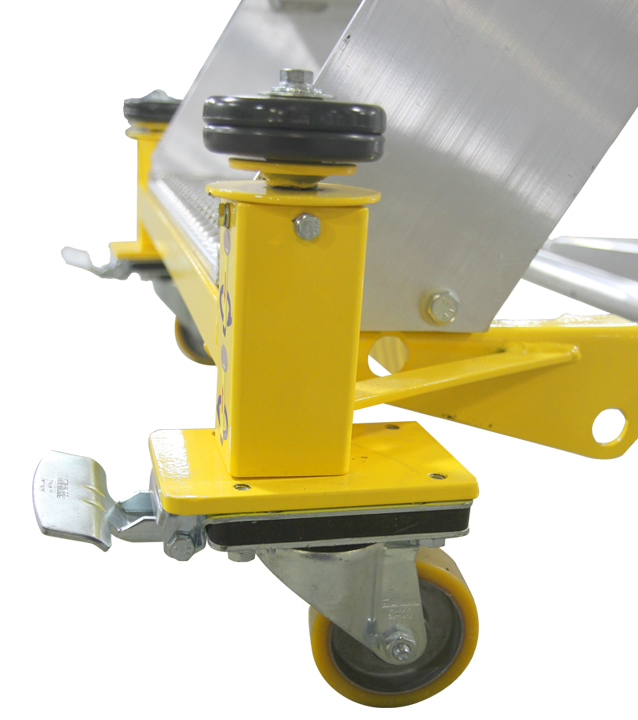 Casters lock and unlock with a simple up and down foot pedal. Protects user from accidentally falling off the top platform. 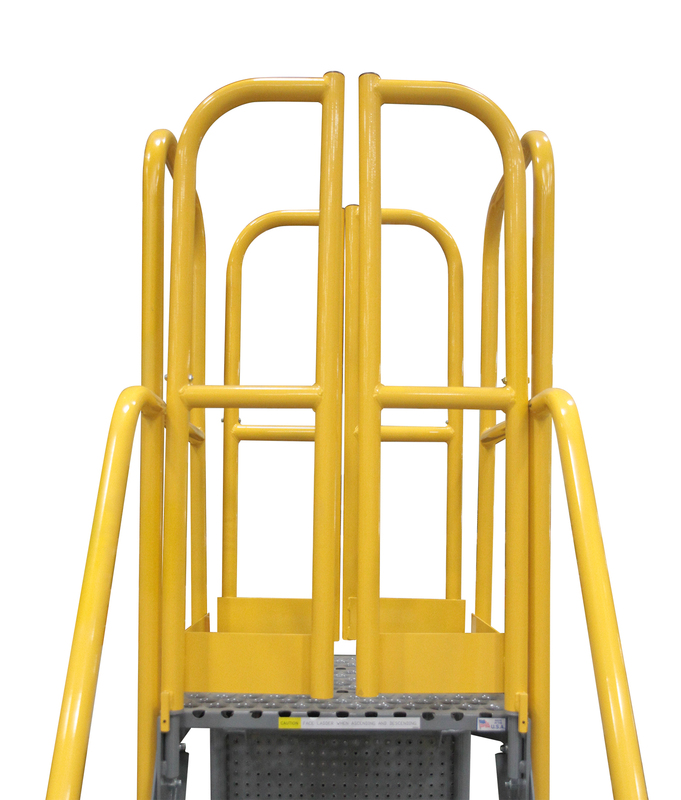 Spring-Loaded Self-Closing Safety Gate opens easily and closes behind the user. Available on all sides of the platform.